Khamsum Inn Thimphu - Hotel videos, user reviews, cheap booking! Offering a la carte restaurant and a massage parlour, Khamsum Inn is located in Thimphu. Free Wi-Fi access is available. The Memorial Stupa is 500 metres from the property. 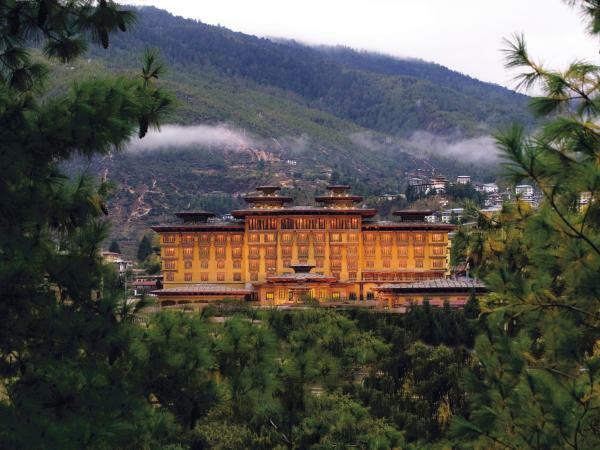 The Tashichho Dzong Fortress is 1 km while the Buddha Point is 5 km. The Tourist Taxi Stand is 2 km. The Paro International Airport is 65 km. Rooms here will provide you with a TV, a seating area, heating and satellite channels. There is also an electric kettle. Featuring a shower, private bathrooms also come with a bathrobe and free toiletries. Extras include a desk and a fan. At Khamsum Inn you will find a 24-hour front desk and a bar. Other facilities offered include meeting facilities, a tour desk and luggage storage. Car rental and currency exchange can be arranged. Guests can enjoy multi-cuisine at Khamsum Inn & Bar. Room service is available for private dining.